Making a commitment to freedom is not as easy or romantic as it sounds, because it requires a transforming type of integrity. To be truly free requires that we first become liberated from the captivity of our own compromise. When we accept lies, pretence, bad behaviour, double standards, and dishonesty from within, we short change our True Self. This pure, uncorrupted person inside us is where our freedom dwells, so letting this person shine requires us to lead ourselves as a hard-working, committed advocate. The pathway to freedom in our outer world can be followed only when we can rely on our inner selves to be true. Without this self respect we hold our Truest Self prisoner to a life that falls short of our natural brilliance. Many of us get seem to away with letting ourselves down in concession and hypocrisy, but experience has shown me that teachers really can’t. One of the things that I love the most about teaching is that it demands a certain truth. There is no-one on earth who will learn from a liar, and no student that will yield to the influence of someone they don’t trust. Teaching has shown me very clearly that to connect with another in learning requires an absence of all doubt. Even the most fleeting moments of mistrust erode any hope of effectiveness as an educator. Children can spot a fake a mile away, and that is the best bit for me! I am a terrible liar at the best of times, and I am convinced that in all things, the truth always comes out in the end. I believe that this love of integrity gave me an edge in working with young children, but it was something that I had to work at daily. My success in primary classrooms relied heavily on my taking responsibility to resolve any inconsistency that diluted my True Self, so that I could offer myself openly to the children. Managing my voice was one area that I worked on diligently. I wanted so much to master the transparency that the kids needed to trust me and learn from me. But this meant actively dealing with the way I thought, spoke and behaved so that I was the sort of person that I was happy for them to see. I am ashamed to say that my volatile upbringing had left me with the ugly inheritance of a short fuse, which, on my worst days, came out in loud, frustrated rebukes and harsh, impatient commands. It was ugly and destructive. It made me stressed, it caused the kids to shut me out in fear and mistrust, and it made me retreat from transparency in shame. This bad angry behaviour was a double standard that I could not compromise on. It had to go. I needed to rewrite the script that directed me when my anger button was pressed. This is something we all need to do, but working with children meant there was no excuses. I needed to deal with this problem fast. I had practiced renewing my responses in the past, so I had a core set of skills ready. I recognised my temper as a learned behaviour that could be changed. It was not a natural part of my True Self; rather it was masking my innate response of patience, understanding, and grace. My starting point was knowing my own power to change anything about myself, and of course, wanting that change badly enough that I would push through to implement it. Any change in life can only come when we choose to activate the power we have to control ourselves. As we are preparing ourselves for change, we must develop a steely resolve that we will press on as a living embodiment of that power, even when we come up short some days. Perfection is not the magic ingredient, it’s persistence. With my personal power of self control at the ready, I then got busy altering my response by creating a new script for myself. Some of you will laugh when I say this, but my script for this particular season was reduced to one word: “Whoopsie”. Any time I found myself angry at the kids I would simply say “Whoopsie,” with a gentle lilt in my voice. At first, I needed to force that silly word and that gentle lilt out of my mouth, because my old reaction was so deeply ingrained. But with an expectation of persistence, and not perfection, I continued to try, and slowly my efforts paid off with increasing success. This change was a really tough one for me because it shone a very humbling spotlight on my pride and my bad habits. However, the outcome has gifted me lasting benefits that I still enjoy to this day. I had managed to rewrite a new script of patience and grace, which allowed me to delete the old one of anger. It also meant that the effects of my anger were removed from those around me. It has been a resounding success. If you ever bump into me down the street and spill your coffee on me, I guarantee you I will look you in the eye and smile with complete understanding, and I will say “Whoopsie” with a gentle lilt in my voice. Every day now, I live my life to make it count. As time soldiers on, I find myself increasingly disengaged from things that don’t connect with something significant inside me. I have paid a high price to enjoy the life I have now, so I know that investing in things that enlarge meaning and purpose in my life will only continue to yield deeply satisfying rewards. I draw such joy and energy from working towards goals that make a difference in the world, from having substantial connections with my friends and family, and from getting to know myself better by exploring and extending my personal limitations. In all things, I have a sense of living the next chapter, and my aim is always to create an exceptional story that extends beyond who I am today. From the time I left Wodonga I invested everything I had into making a life that was worthy of such a huge, risky sacrifice. For me to have ‘up and left’ like that was out of character in many ways, because I was connected to my family and friends there, and raising my children in love, power and freedom was a purpose that defined me to the core. On the other hand though, the choice to leave was a reflection of the person I had always been on the inside. It was an action that showed everyone, including myself, exactly who I was and what I was about. I would stop at nothing to create the life I wanted for myself and my children. To have come as far as I did in only a few short years simply blew my mind. 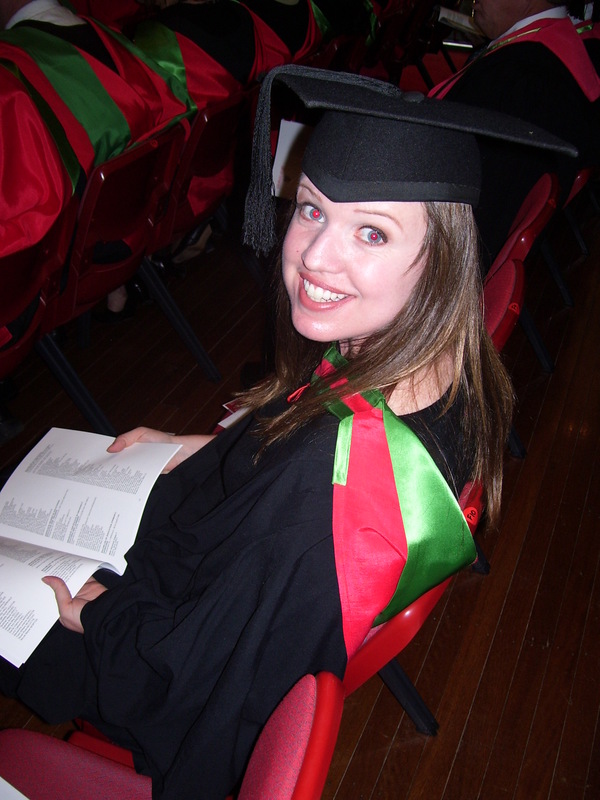 I was now the person who had set up my own home, owned a business, earned a degree and started a teaching career. These were transformations that I could barely believe, except I was living them every day! Alec and I loved sharing this fast and furious journey together. With him working our business and me studying we settled into a blissful groove of everyday life. 2001 was the year that I studied at my local church Bible College, and by the end of this year I was working for my church as the Events Manager. Yes, we still had the everyday ups and downs of normal life, but I was a pretty happy camper on lots of fronts. Having the year to myself, studying first, then working and supporting myself and my kids was just a dream come true. Alec lived with his parents just out of town that year, but he stopped in every morning on his way to work, and then again for the evening on his way home. It was so ideal in every, and allowed us to both come to the very definite decision that we wanted to be married. Our engagement was short and the wedding plans were pulled together in the same excited optimism that Alec and I did everything. I delighted in every part of organizing this event, throwing myself into classic colours and sentimental touches that created warm intimacy for the day. Having already been married, I felt uncomfortable wearing a traditional white gown, but as Alec’s queen I proudly donned a golden gown that I had designed myself. I also opted to have my 7 year old son Zac walk me down the aisle to give me away. My kids were a central part of the ceremony. We all agreed it was a wedding day for all of us as a family, so it went without saying that Alec not only declared his commitment to me as my new husband, but he also vowed to care for the children, “with the heart of a loving father”. These magical family moments, along with the cheeky and romantic love notes that Alec slipped me throughout the entire day, barely left a dry eye in the house. In fact, even writing this now has me welling up. It is a beautiful memory of one of the best days of my life. That day was one of the many pages in the ‘Fairy Tale’ chapter of my life. Despite this part of the story being written so long ago, it has left a deposit that will never age. I am convinced that making a life worth living relies on us making a deliberate choice to throw ourselves in wholeheartedly. May we expend every moment without reservation or regret. May we finish each day spent. May we refuel ourselves in the knowledge that we used up everything we could in extraordinary living. May we make a life worth telling. There is no surer way to anxiety and depression than to wake up every morning to a life that is not aligned with who you are. With every passing day I become increasingly obsessed with ensuring that my insides match my outsides, because I know from experience that the alternative leads to conflict that can become debilitating. With every passing season, I have directed my choices to ensure that who I am is reflected in everything I do. This applies in my goals, my friendships, my leisure time and my work. I experience fulfilment, confidence and contentment only when I live and breathe as the truest version of myself in every moment. It made me see myself as a business owner, and with this transformational new perspective, old working class limitations were completely smashed to smithereens. It made me see myself as a survivor who was strong and resilient, and with this new power I learned that I am not easily destroyed. It made me see myself as the director of my life who is always able to achieve new heights, and with this new confidence, my ambitious imagination soared as free as a bird. You are a child of God. Your playing small does not serve the world. There is nothing enlightened about shrinking so that other people will not feel insecure around you. The success I had at uni was nothing short of remarkable. My transcript is so outstanding that it’s almost absurd. I soaked up the learning like a dry old sponge in an oasis, and described the new knowledge I gained as simply being inserted into a filing cabinet that had been waiting inside me all along. 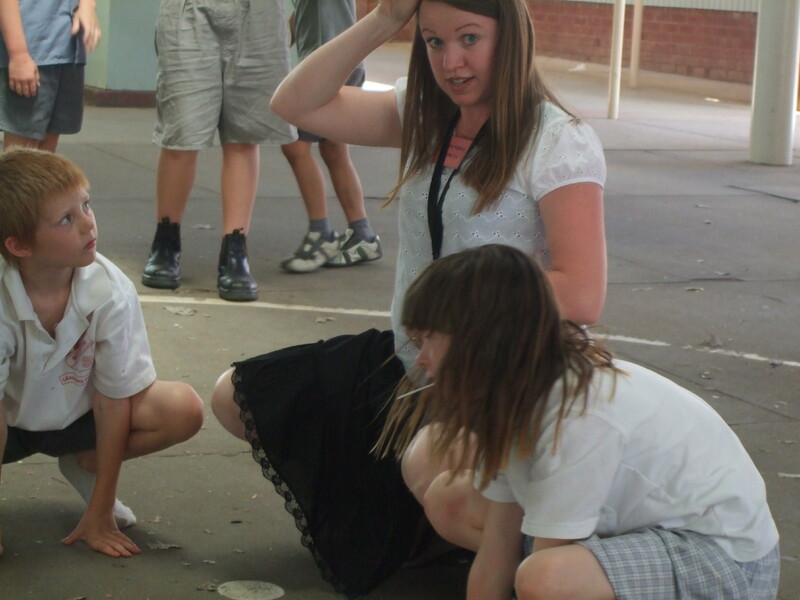 I was made for teaching, and it showed. Even now, after several seasons have passed and life has changed, I know I will always teach in some shape or form. Teaching combines my natural love of people and hunger for learning with my intelligence and my extroverted personality. There is nothing more rewarding for me than investing in someone else’s learning journey, and empowering them with the tools they need to craft their own success. I am a born teacher. I want nothing more than to see my students shine. It really is that simple. I love it! Finding this Kerry-shaped space was truly one of the most liberating breakthroughs of my life. When who I am is aligned with what I do, I activate the forces of a power that can only come from my core when this power is not hindered or silenced by compromise. When I treat my strengths and ambitions with the highest of regard by creating a life that reflects my best self, I build a self-respect that is unshakeable. This self-respect then fuels my pursuit of ongoing significance and influence in my world, and there is no greater reward than finding this. When I like who I am, and build a life that reflects that, I am unstoppably free, and my power knows no bounds. I have learned a lot about squeezing every ounce of vibrant joy out of my life, and I consider myself blessed to have come so far with so much to be grateful for. I know that rewards often come only when we refuse to accept any other alternative. There is an inheritance that we can give ourselves, and it comes to us because we invest our entire selves into it and refuse to accept anything else. Settling into my home in Wagga was an important milestone for me. Taking the plunge to rent a three bedroom house with a room each for my two kids was a risky commitment to make financially, because they still lived in Wodonga with their dad at that time. I guess if I had looked at it logically, I may not have jumped into such a significant investment, but in reality my heart was completely sold out to returning to the privilege of raising them. I could not have come close to happiness without putting my hope into actions: I wanted them to come back to me. 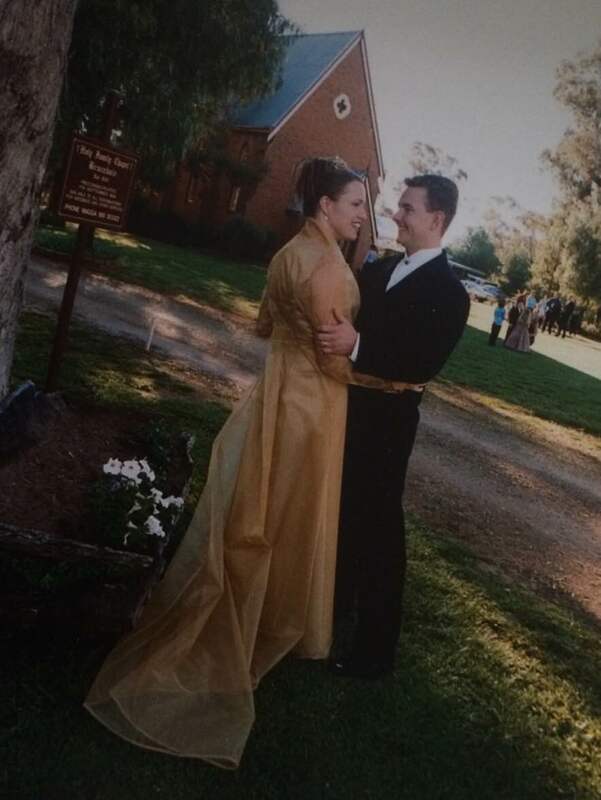 While I was away in Sydney preparing my first business with Alec, I had been working an arrangement that involved making the six hour drive to and from Wagga every weekend to see them. It was a massive exercise that left me exhausted, but my happiness relied on doing everything I could to remain involved with my kids and participating in their childhood while I set up something grand for all of us. To this day I can’t believe that I left them for such a long time, but the dedication I had to breaking us all out of that small-town life into a big world full of opportunity would not be quenched. I was encouraged by a fable that I had heard sometime earlier, about a small village with no water. Two men saw the lucrative chance to supply the town’s water. The first man walked all day every day to and from the nearby well, selling the villagers bucketfuls of the water he had fetched. The water was warm and dusty by the time he had returned, and his supply was limited, but in the absence of any other alternative, the man did well for himself, making a small living from his efforts. The second man also saw an opportunity, but with the first man offering an adequate supply for the village, he quietly went about building a water pump. For a full year the first man mocked the second, who foolishly thought he had a monopoly on the town’s water. But the smile was on the other side of his face when the second man turned his water pump on. The first man’s business was instantly ruined, because the villagers were overjoyed that they could enjoy the fresh, clean water flowing from the second man’s pump at a fraction of the cost. I knew my children were safe with their dad, and that he was always going to be able to offer them an adequate life of love and care. But, I needed to be the second man who opened a never-ending flow of opportunity for them. Come hell or high water, I needed to give this freedom ambition a red hot go. I demanded that life honour my expectation. I staked a claim in the inheritance I had set up for myself. I cannot possibly convey the overwhelming rush of relief and gratitude that I experienced when the kid’s dad agreed that they should move in with me. He could see that I had put some runs on the board with my work, and that my efforts were starting to pay off. He was confident that I was going to be able to provide everything that they needed. 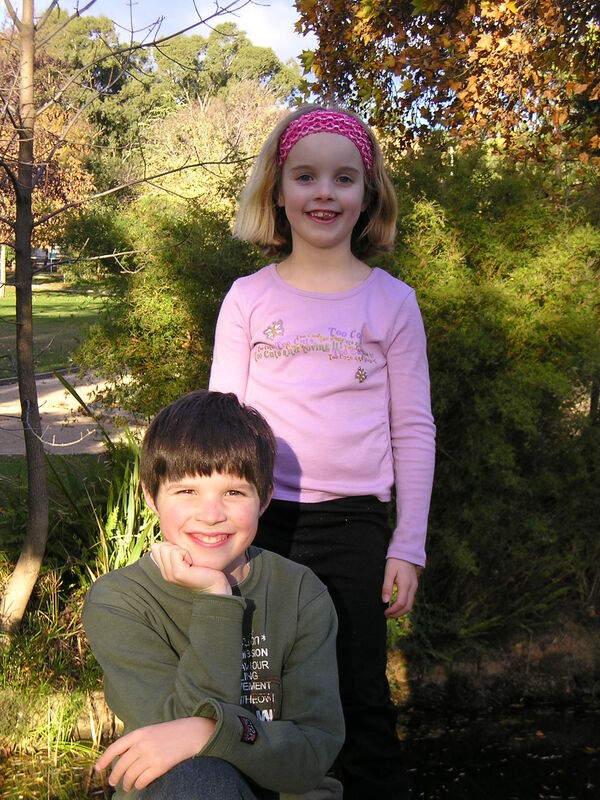 Within a couple of weeks of me moving into my Wagga house, the kids were moved in too. I was overjoyed and elated. And I was proud. I had pushed through and the pump I had built was working. When I first embarked on this risky part of my journey, my plan was to establish a limitless life. I know I am not alone in fighting to achieve the end goal, but it breaks my heart when I see people miss out on their reward, even though they have struggled so hard for so long. All of us have hopes, and all of us work hard to hold on to them, but perhaps we can get better at committing to pushing through to nail it at the end. You deserve to cross the finish line if you have run the race. You should have the reward if you have done the work. Having the kids move to Wagga with me was the first time I experienced the fulfilment that comes from hanging on till the end. But I only got to enjoy it because I refused to give up till the spoils were mine. I had set up the inheritance, I had done the work, and then I cashed it in. There are some things that need to come to us while we still have breath in our lungs to enjoy them.